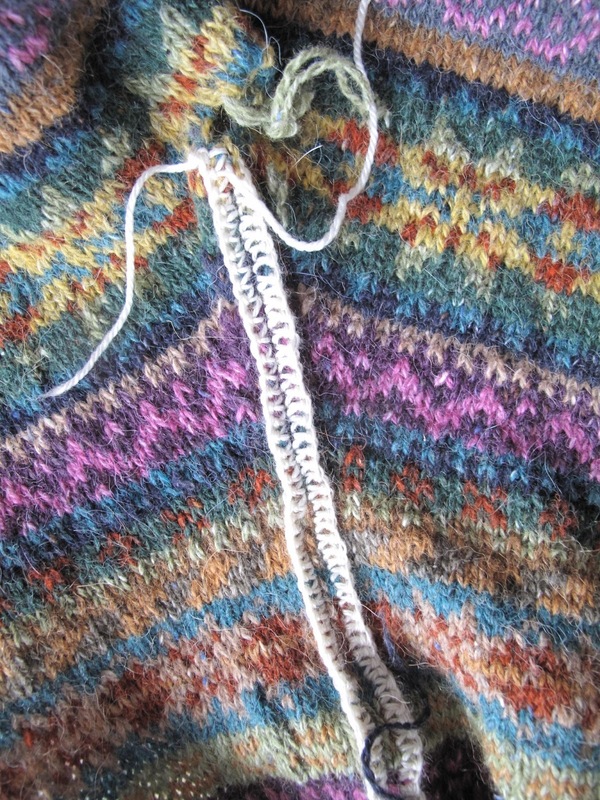 It has taken me a little while to get up the courage to cut the steek on my Orkney cardigan. I had put so much work into knitting the body that I was way too terrified of getting it wrong. Just like DIY, the preparation is incredibly important when you begin. More experienced steekers cut and pick up without a ‘safety net’ but I’m not that good. 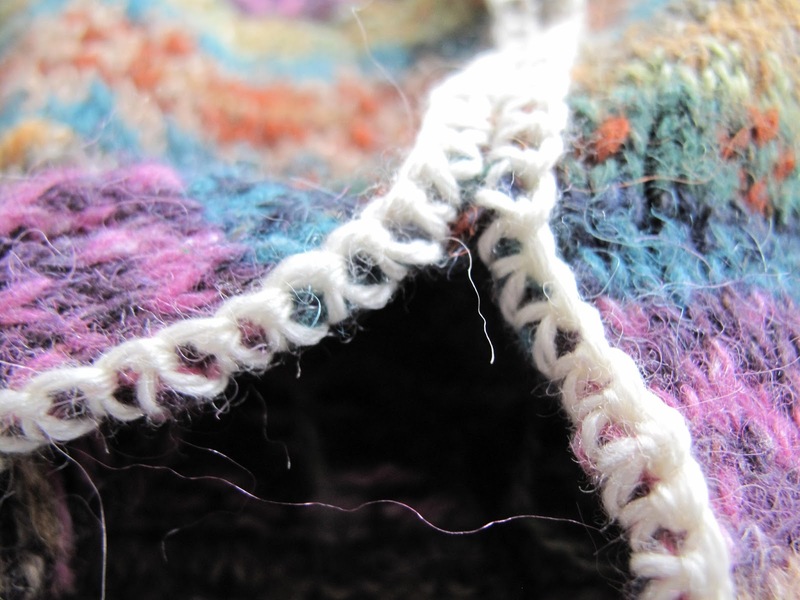 There are many ways to secure your steek before cutting such as hand sewing or machine sewing but I prefer the crochet method which is so brilliantly described on Kate Davies’ blog. What it does is create a similar effect to an overlocker for those of you familiar with a sewing machine. 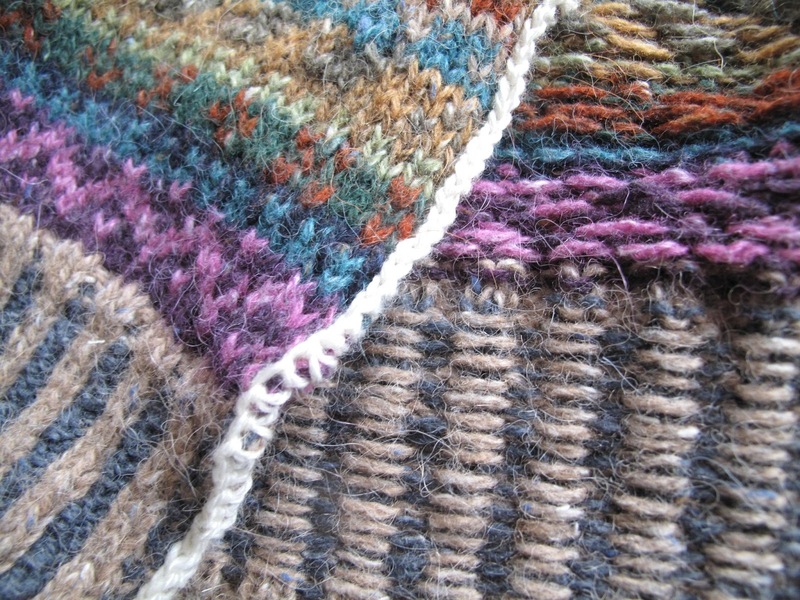 BUT you MUST sew in any ends first – I didn’t and narrowly avoided disaster with strands coming loose. 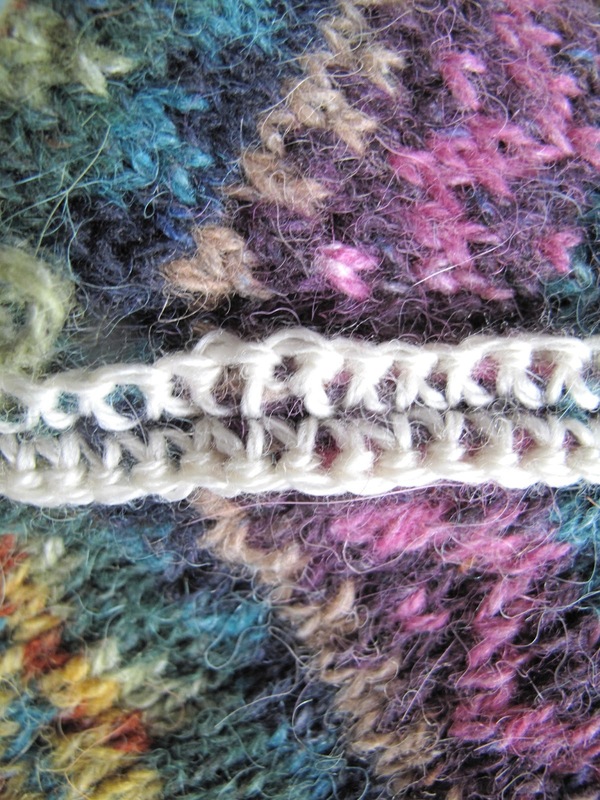 I found by crocheting in a contrasting colour you can see what you are doing when you cut. Carol Feller also gave me a top tip to avoid the slight flaring that you can see in this picture and that is to crochet quite tightly in a thinner yarn. Now no more procrastinating, lets get the blades to this little baby. The only way to show you this is in pictures. Imagine me mouthing a silent scream, tehe! Oh my goodness. That is terrifying and amazing, all at once. I have read the blogs, watched the videos on youtube and even seen it demonstrated but no way no how, would I have the nerve to take a pair of scissors to something so intricate. 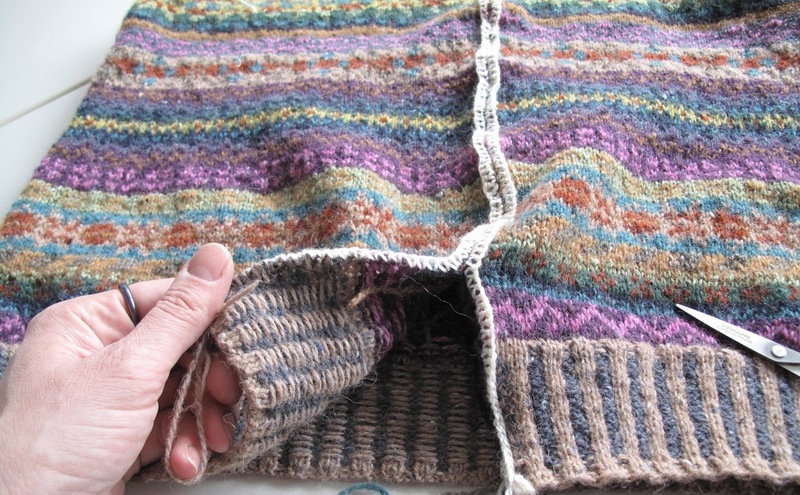 It looks gorgeous – please post more photos of the finished cardigan.